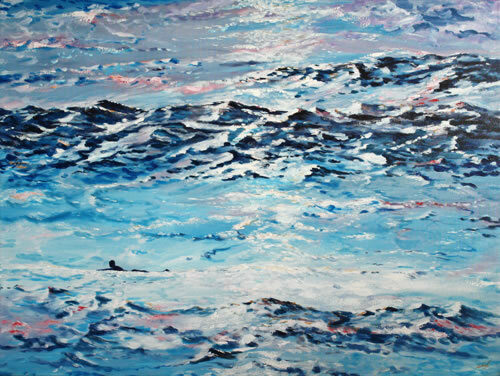 BANX Artist offers original, contemporary art for rental and sale. 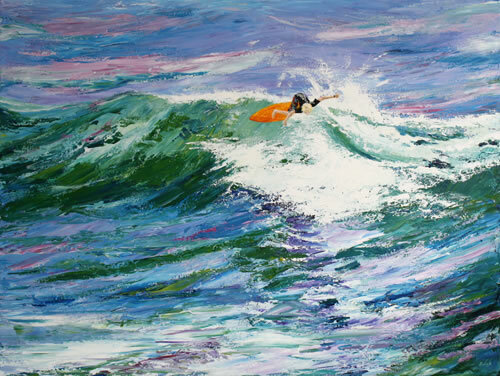 Paintings are largely Queensland themed and are especially relevant for Australian businesses. Paintings display beautifully the foyer, reception, office and boardroom. Artwork elegantly finishes off the office fit-out, interior design work and refurbishments. Especially relevant to interior decorators, residential stylists and architects with office art. Art as a gift is ideal for the corporate and private individuals. Occasions such as welcoming your new CEO, thanking a great employee, fare-welling a friend, a wedding gift, birthday gift, anniversary present and special occasions most benefit. While choosing the gift is important, gift certificates are also available to let clients or friends choose their own great art. In addition, Banx and Moving Canvas Art Gallery Brisbane also specialise in supplying high quality site-specific art commissions for the office, corporate and residential sector. Therefore, a unique corporate image may be created. We respond quickly and professionally with two to three concept sketches and a quote, and most noteworthy of all is we deliver on time. Most of all, Banx and Moving Canvas Art Gallery brings the art to you in person. 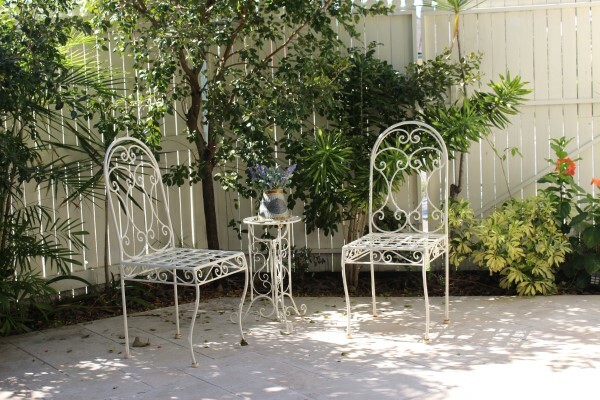 We service Brisbane, Gold Coast or Sunshine Coast, and package and send to other locations (additional delivery applies). 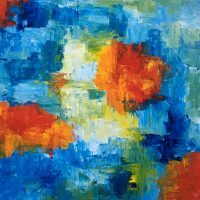 Buy Australian art and support a Brisbane artist. Art does more than just hang around on walls! Art stimulates the senses, and provokes and pacifies. It introduces new ideas and encourages debate, thus it opens our eyes to what is around us. Artwork shows us what is possible and inspires us to try. Art on walls consequently enhances and elevates our perception of almost any environment. Therefore, clients feel good about doing business with you and will tell others about you. It has been shown that art on walls reduces stress and encourages right brain activity through visual stimulation. Great art on walls improves staff moral and therefore, increases productivity. Consequently, art is good for the business and shareholders. Art relaxes and invigorates with equal measure. Furthermore, paintings show us new perspectives on life. Artwork exercises the mind by connecting synapses. It brings people together through lively debate. Art is good for the mind, heart, body and soul. In short therefore, art is good for our health and there are no known harmful side effects. Creating art is also a great stress reliever and takes you to a part of the brain seldom reached by other means. Leasing art is an excellent business enhancement. 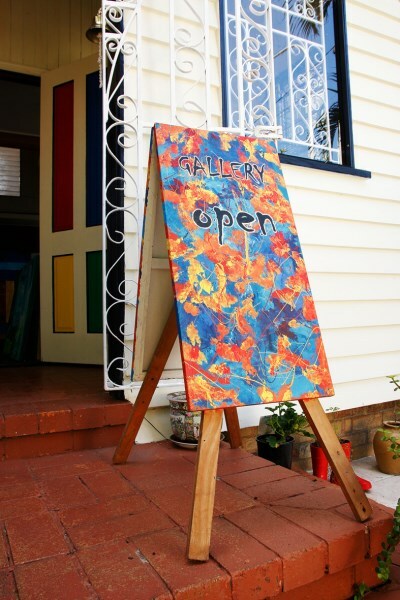 Kaye and I own and operate Moving Canvas Art Gallery in Stafford, Brisbane. Moving Canvas Brisbane Art Gallery offers contemporary, original artworks for rental and sale, by Queensland artists, and is suitable for Corporate or Private collections. Our Art Gallery is located 20 minutes from the CBD, in Stafford 4053. We offer long-term and short-term leasing for the office, foyer, boardroom and residential interior property styling. Furthermore, good art helps to elevate your client’s perception of your business and improve the selling potential of your home. Home owners and Property Stylists all welcome. Leasing servicing is available, where we come to you with new works! Therefore, reducing the time you are away from work and the tasks that matter to you. Site-specific art is a specialty, hence theme, décor, company ethos and company logo can be subtly incorporated into the artwork for a unique corporate image for the foyer or boardroom. 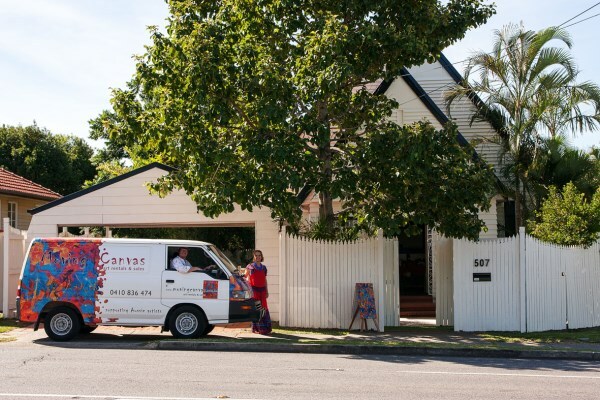 Moving Canvas is proudly Australian owned. Buy Australian and support Australian artists. Near to Brisbane CBD – Moving Canvas Art Gallery and Banx Studio, 507 Stafford Road, Stafford 4053. *Charges apply for delivery under $400 and outside Brisbane. Art is an excellent investment.